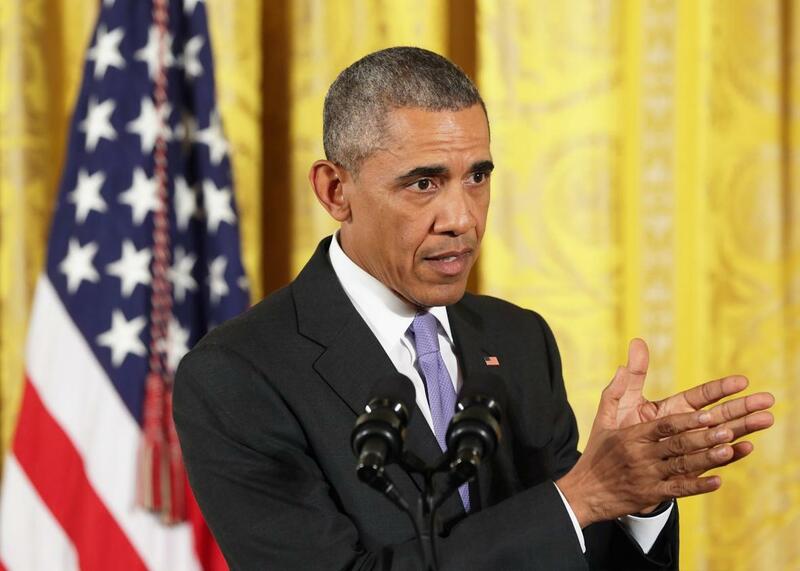 Iran deal and executive power: A dangerous precedent. President Obama speaks at the White House in response to the Iran nuclear deal on July 15, 2015, in Washington, D.C.
Back in April, when President Obama agreed to allow Congress to vote on the then-still-under negotiation nuclear accord with Iran, it was widely covered as a surrender by the White House. In retrospect, it was a great move by the White House. The congressional review process, which effectively came to an end Thursday when Senate Democrats blocked a resolution disapproving of the Iran deal, gave the appearance of congressional debate on the agreement, but the deck was always stacked heavily in the White House’s favor. In fact, the way the deal was orchestrated sets a precedent for expanded executive power that should concern even those who support this president and this deal. The U.S. has two major ways of entering into international agreements: treaties and executive agreements. Treaties are legally stronger but harder to pass, because they require a two-thirds majority in the Senate in order to ratify. For that reason, executive agreements, which don’t require congressional approval, have become far more common, though generally for less consequential agreements than the Iran deal. The White House never sought to make the Iran deal a treaty. Was this a legitimate move? Republican senators certainly don’t think so, and the lesser status of an executive agreement was the major point of Sen. Tom Cotton’s infamous open letter to the government of Iran back in March. But the law is frustratingly ambiguous on which agreements are important enough to rise to treaty level. According to the Congressional Research Service: “As a matter of historical practice, some types of international agreements have traditionally been entered as treaties in all or nearly every instance, including compacts concerning mutual defense, extradition and mutual legal assistance, human rights, arms control and reduction, environmental protection, taxation, and the final resolution of boundary disputes” [emphasis mine]. Then-Sen. Joe Biden objected in 2002 when President George W. Bush tried to make a handshake deal on nuclear arms reduction with Vladimir Putin rather than submitting it to the Senate as a treaty. As President Obama has frequently pointed out, the Iran deal differs from past deals with Russia because it does not require the U.S. to cut its own arsenal. But still, given its economic and national security implications, the deal is at least the kind of agreement that has been negotiated as a treaty in the past. Within the category of executive agreements, there are gradations. There are “congressional-executive agreements,” in which Congress authorizes the president to negotiate an agreement—trade deals like NAFTA, for example—and “sole executive agreements” backed only by the president’s executive authority. Which is the Iran deal? It’s not exactly clear. Some legal scholars argue that the Iran Nuclear Agreement Review Act, which set up the review process, was a NAFTA-like authorization to negotiate. Others say it was nothing of the sort, and that the Obama administration has consistently said the deal is “nonbinding.” The distinction matters as it could determine whether the next president actually has the authority to tear up the deal “on day one,” as several Republican candidates have promised. Either way, the review process that Congress agreed to muddied the waters significantly, giving the White House the appearance of winning a vote in Congress that never had to be held in the first place, which is why conservative critics like the National Review’s Andrew McCarthy have been railing against it so vociferously. By the time conservatives in Congress realized their mistake and tried to call off the debate, it was far too late in the game. But this new category of agreement, which seems to have more political and legal authority than one the president negotiates alone, stacks the deck heavily in the White House’s favor. It seems likely that future administrations, faced with agreements on major issues of war and peace, will seek to replicate the model.